I call this "Purple Hazy Daisies." 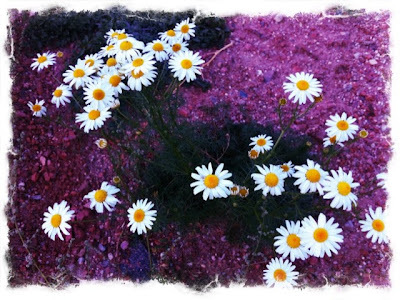 I photographed the flowers using my iPhone Camera+ app. Then I applied the "Purple Haze" filter and "Light Grit" frame from within the app.